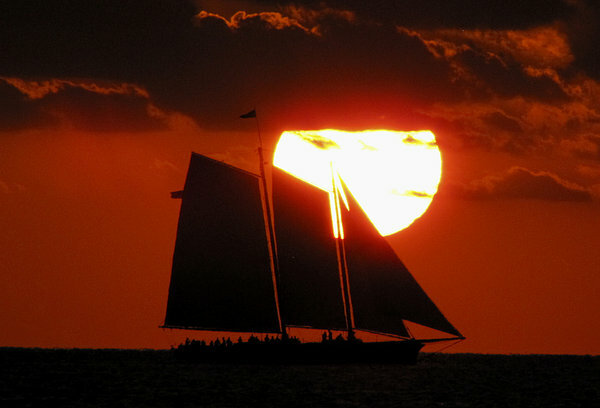 A giant setting sun in Key West, FL. 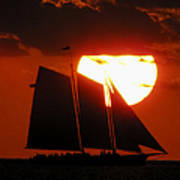 turns the whole image orange while silhouetting a beautiful sailboat passing in the foreground. 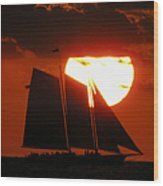 The clouds covering the top quarter of the sun make it more dramatic.